Hiroaki Ohta OFF FK series offers first quality materials and craftsmanship with out costing a lot of money. 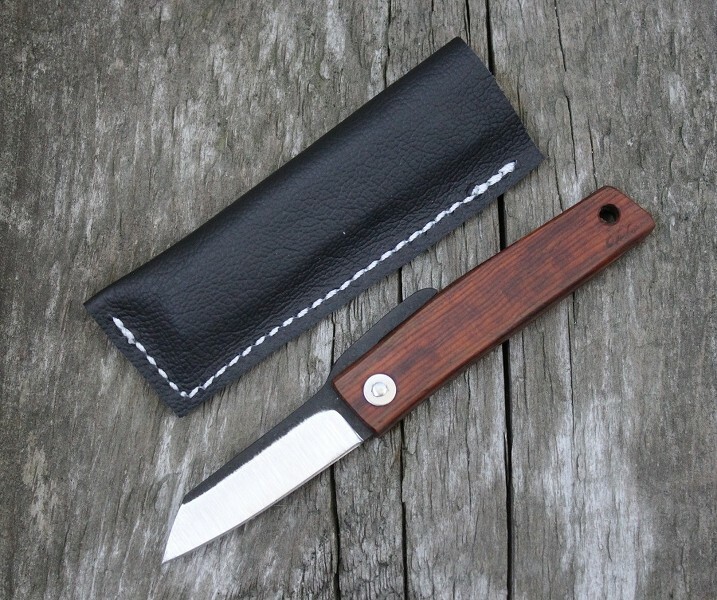 This OFF FK 5 knife has a iron wood handle and the blade is two-tone finished with satin grinds. Includes a black leather pouch. Also available in Cocobolo wood.